What’s the best source of caffeine? In the morning, you may prefer your organic French roast from Tanzania. But there are good alternatives to wake up with and they might be hiding in your own backyard. Literally. What to drink instead of coffee? The list of plants that contains caffeine is quite short. That’s why even sodas and energy drinks use the stimulant derived from the two most common food sources; coffee beans and green tea. But those are not the only naturally occurring options. To get that high of a number, you would need to count many similar species as completely different plants. That approach is correct botanically, but the layman would not be able to tell the difference between the vast majority of them. Some plant genera have dozens or hundreds of similar species within them, but only a handful have had all their parts analyzed for this stimulant. How some obscure species are counted can be up for debate. Even recently published research on this topic uses taxonomic schemes which have been obsolete since the 1950’s (4). With some identified sources, it’s still being argued whether it’s really the stimulant or a xanthine. That’s the purine base which caffeine and a similar albeit weaker stimulant – theobromine – are derived from. Is there caffeine in mushrooms? No, at least not the ones which are edible. The fungus Claviceps sorhicola, which is a parasite of the grain sorghum, does produce it (5). While it is a natural source of caffeine, that fungal coating is not a food for humans like button or shiitake mushrooms. Even if it were a food source, technically it’s not a plant, so should it be counted? In short, the exact number of plants in the world which produce this compound is unknown. If you want to lump together similar species, then the question becomes easier to answer. How many plants that produce caffeine, for all intents and purposes, can be counted on your two hands. There is only one type of plant native to North America which has caffeine in it. 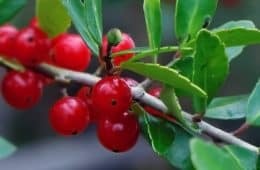 Depending on how you count them, the plant genus of holly (Ilex) consists of around 400 to 600 species throughout the world. Believe it or not, no one can say for sure how many of them have caffeine. There are at least 4 types of holly which definitely have it, but being how similar many other species of holly are, it’s likely that others do as well (6). 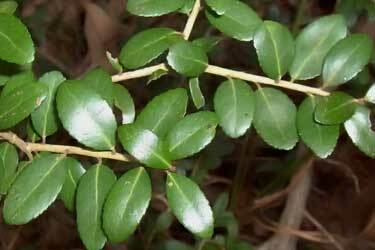 In the United States, yaupon holly (Ilex vomitoria) is the only caffeine food you will find. It has about 70% as much as coffee beans, when you compare dry weights of each (7). It was used by several Native American tribes for making “black drink” or asa, for ritual purposes. Those bright red berries you saw at the start come from this plant. You can’t eat them because they’re poisonous (8). It’s not the yaupon berries, but rather the leaves which were used by the Indians to make herbal tea. Or technically an infusion, since the leaves were still intact when it was drank. How much antioxidants you will find in yaupon holly tea would depend on the amount of leaves used. For 100 grams worth (3.5 oz.) the ORAC value of the leaves is very high at 98,700. That’s almost the same as pure acai extract powder (102,700). Though keep in mind that like other teas and infusions, what you’re drinking is a small amount of the leaves mixed with a lot of water. It could be argued that with green tea, you’re only using one serving; 2 grams of leaves which is 1/50th of the above ORAC value. 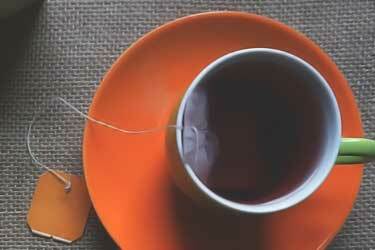 Given its high tannin content, brewing green tea strong can cause upset stomach. 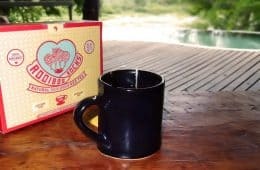 With yaupon, since it’s almost free of tannins, you could brew much stronger and therefore, the total amount of antioxidants per cup of the tea could be much higher than green. 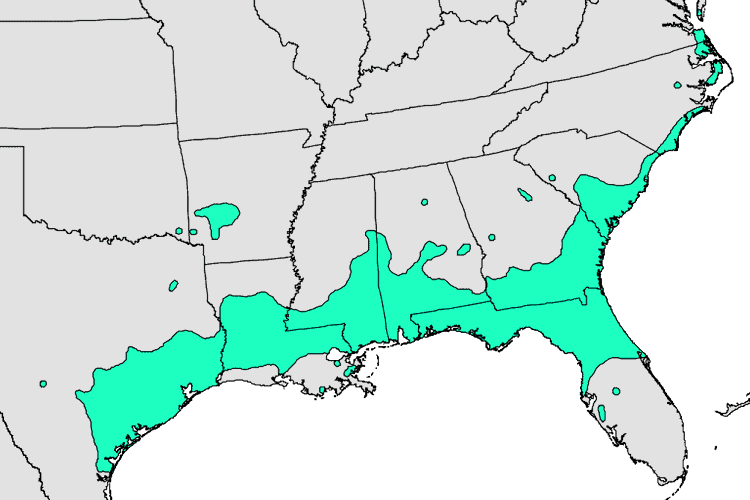 While you may not have heard of yaupon tea, you probably are at least somewhat familiar with its South American relative, yerba mate (Ilex paraguariensis). 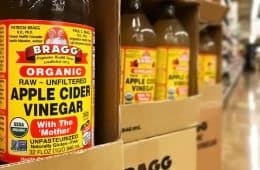 The Guayaki brand and Trader Joe’s seem to be the two biggest purveyors of this drink in the US. 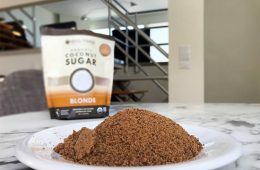 Naturally caffeinated foods can also be made with the ground up powder. It can be added to the ingredients of energy/protein bars, pastries, and ice cream, much in the same way that people do so with green tea. There is no historical evidence to prove exactly how long it has been used, but it is believed that the drink has been a tradition for thousands of years in its growing region; a small swatch of land which spans the southern tip of Brazil, eastern Paraguay, and a sliver of Argentina. 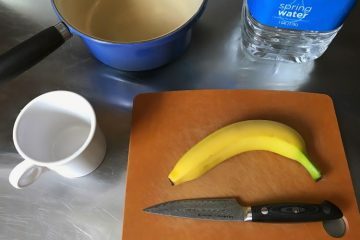 Just like how the native Americans would make their “black drink” by grinding up the leaves and putting them in hot water, the process is similar for this beverage. 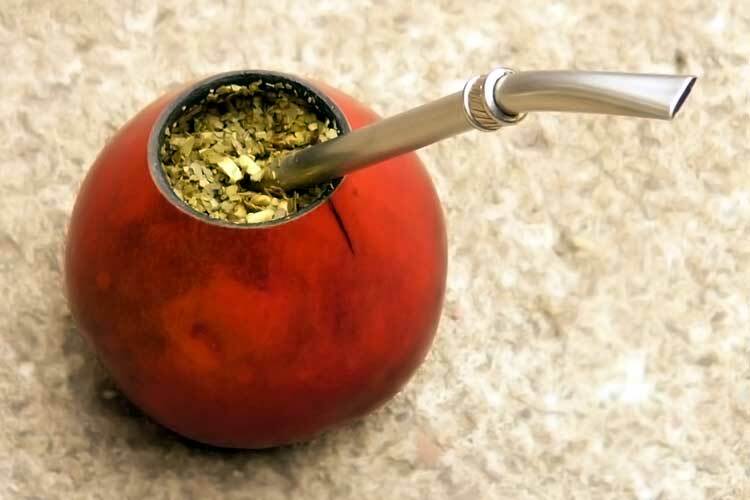 Traditionally, yerba mate uses a gourd which is filled about three-quarters of the way with dried leaves and twigs. Hot water is then added. Rather than strain it like tea or filter it like coffee, with this beverage you use a metal straw (bombilla) that has a thin yet wide opening. That does a good job for you of stopping the larger fragments from entering your mouth. When it comes to alternatives to coffee for energy, yerba mate is probably the best option. It’s readily available and the typical brewed beverage will have around twice the caffeine content by weight as black or green tea. Though it will still be lower than coffee – 85 mg per serving versus 95 mg per cup (Guayaki Traditional Yerba Mate nutrition facts) (10). The Ilex guayusa is another type of holly which definitely contains the stimulant. Currently it’s marketed as an Amazonian superfood, but its use is far from modern. 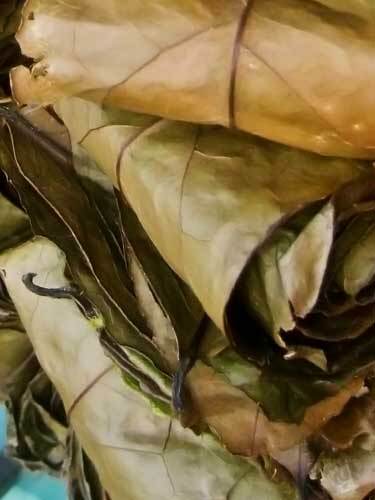 A 1,500 year old bundle of the leaves were found in the tomb of a medicine man in Bolivia, which is quite a distance from the guayusa’s native growing area; Ecuador, southwestern Colombia, and northeastern Peru (12). Much like truck drivers love their cup of Joe on long hauls, guayusa was used as an alternative to coffee to stay awake at night. Reportedly the indigenous hunters called it “night watchman” and drank it to help them stay alert. Guayusa can be made in the same way as yerba mate, it can be brewed like a traditional tea, or even filtered like coffee. 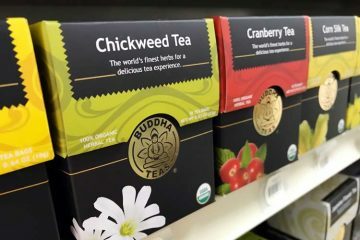 Using it as a natural food source of caffeine is new in America and elsewhere, so people are still experimenting with how best to make it. One differentiation from yerba mate is that the twigs are left out, as it’s only the leaves people use with this plant. Since its use has largely been confined to the upper Amazon, very little research about it has been pursued. However that is beginning to change as more people drink it. In 2017, Ecuadorian and Spanish scientists published a report detailing the tea’s phenolic profile. 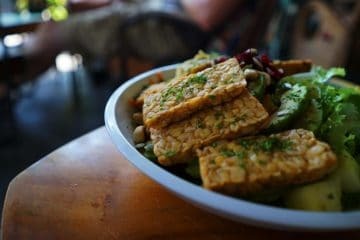 Most of its antioxidant activity comes from chlorogenic acid (just like coffee) and quercetin (an excellent anti-inflammatory), along with some pleasant surprises like high lutein content (13) (14). Like chocolate, it contains high amounts of another stimulant, theobromine. That gives it a one-two punch for knocking out your energy blues. Using Amazon – not the river but the retailer – you can buy traditional guayusa as ready-to-use tea bags or as bulk loose leaves from Runa. How much caffeine is there in guayusa? The percentage varies by time of year and geological factors, but it has always tested out as being higher than coffee (15). 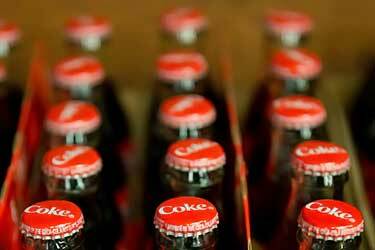 At one time, Coca Cola contained an estimated 9 mg of cocaine per serving (18). That’s about 1/3 the amount that’s in an average “line” of cocaine, which is 25 to 30 mg, according to Substance Abuse: From Principles to Practice. Opiates AND sugar? No wonder people were hooked! And yes, that is where the Coca in the drink’s name comes from. Even today they still use coca leaves for flavoring, albeit the “spent” leaves, which have had the drug removed (19). They’ve been using the spent version since 1904. The word Cola in their name comes from the kola nut. They just chose to spell it using “c” instead of “k” for marketing purposes. 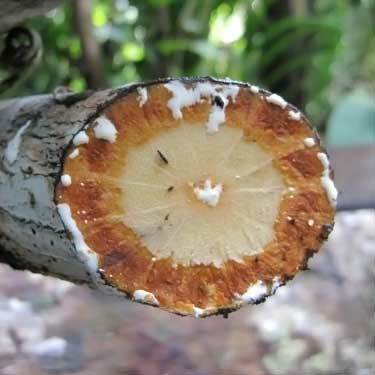 Trees in the tropical rainforests of Africa produce this food. Some people there chew it like gum for energy. 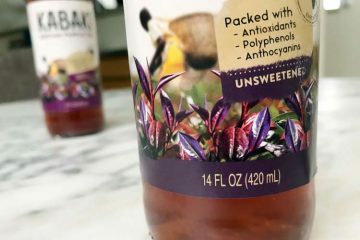 Outside of its native growing region, it’s almost entirely used as a beverage flavoring. The 34 mg of caffeine per 12 ounce can of Coke comes from this plant. All drinks with caffeine that are not soda (cola) typically have it added from the tea plant, Camellia sinensis. Deriving it from that source is much cheaper than the two types of kola nuts, Cola acuminata and Cola nitida. Examples include energy drinks like Red Bull, Monster, and Glacéau VitaminEnergy water. It may not like the real thing, but a moment on the lips is not worth a lifetime on the hips. The health benefits of kola nuts have not garnered mainstream appeal. Probably because they have very little flavor, followed by a bitter aftertaste. These nuts do contain some antioxidants and up to 7% protein by weight (20) (21). On the flip side, a reduced sperm count was observed in male rats who were fed 2 mg per kg of body weight daily for 6 weeks (22). Present day consumption averages 0.69 mg per kg of body weight daily and that is believed to be safe without any known side effects in humans (23). Not to be confused with the similar sounding guayusa, this plant is not a form of holly. The Paullinia cupana is a plant in the same family as maple, but you definitely won’t find this growing in North America. It’s found in Brazil, along the Amazon basin. It’s also not a tree. In the open it will grow like a shrub, but if it has something to grow on – like the trunk of a tree – it will make use of it and end up looking more like a vine. 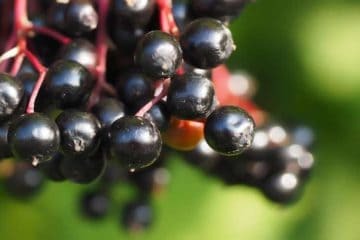 The plant with highest caffeine content is guarana. The red fruit it produces has seed inside that contains 300% more caffeine than coffee beans and 15% more than dry tea leaves. 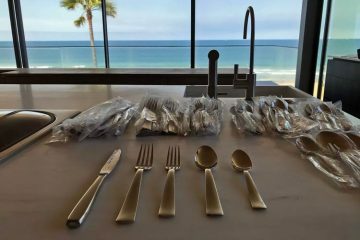 Some measurements have been even higher. With the exception of Coke which uses kola nut, many other sodas in South America use guarana. It’s such a common flavoring agent that the word is synonymous with soda. The taste of guarana seed may not be delicious, but it is better than kola. That’s why the powder is more commonly used to make caffeine foods, such as energy bars. Reviews of using it as a separate energy supplement are generally positive as well. You can buy a 1 pound bulk bag of the seed powder on Amazon, but use it sparingly given how much caffeine there is in guarana. It’s the most caffeinated drink in the world. Break this pod open and the beans are inside. Technically though, they’re not even beans. Just seeds. Finally, we come to one on the list you already have experience with! The cocoa tree grows in central and South America. Its Latin name, Theobroma cacao, is where the naming of the stimulant theobromine comes from. 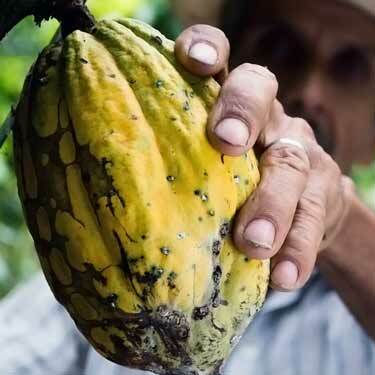 Kola nut, guarana, yerba mate, and tea also contain this alkaloid, but the amount in pure cacao is much by percentage. For example, in a 50 gram serving of dark chocolate (about half a bar) may have 250 mg of theobromine and 19 mg of caffeine (29). Theobromine is a much weaker stimulant, some have estimated it to have 1/10th the power. So even though you’re getting a lot, you really do need a lot to get amped up. With long term use, it too is mildly addictive and withdrawal symptoms may result. Even when consuming it on a one-time basis, neurological side effects can happen like headaches and nausea. In one study, increased heart rate was detected and the amount correlated with higher dosages (30). The effect theobromine has on blood pressure is believed to be different than caffeine. It has been reported that cocoa may lower blood pressure and some evidence does support that (31). However there’s too little clinical research to know its effect, for better or for worse. Given the lack of data, those with blood pressure issues should not consume foods containing it without their doctor’s approval. 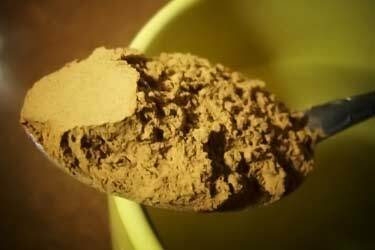 Drinking cocoa powder as an alternative to coffee in the morning could be a very high calorie way to get your engine revving. 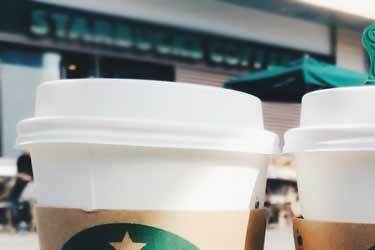 A Starbucks tall (small) 12 ounce black coffee contains 235 mg of caffeine and 5 calories. To get 230 mg of caffeine from raw unsweetened cocoa powder, you would need to eat 100 grams (3.5 ounces) which has 228 calories (32). That’s bad versus black, but if you drink a Starbucks latte or similar, the calorie count won’t be much different. Plus, you would get the added benefit of protein; 19.6 grams in that amount of cocoa powder. However this is a caffeine food to avoid in excess like that and the reason is heavy metals. 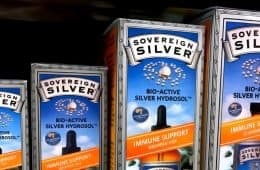 Yep, it’s not just fluoride in green and black tea you have to worry about. The amount of lead in chocolate is quite high. The bigger problem though is cadmium. 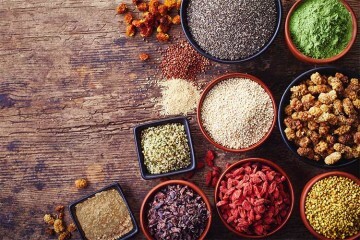 ConsumerLab tested common brands like Hershey’s, Trader Joe’s and Nestle Toll House, as well as more expensive brands like Navitas Naturals and Now Foods… all of those powders (as well as several others) got a “Not Approved” rating by them because of cadmium content. Only CocoaVia got a greenlight. Based on the measurements they reported, we still recommend eating powder in moderation and continue to do so ourselves. 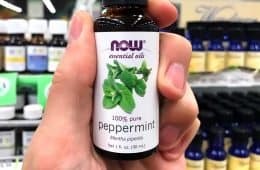 Though it should not be at the top of your caffeine food list, because you would need to gobble down a lot of it to get woken up in the morning. At least if you’re accustomed to coffee. The dark orange you see is the phloem, which contains the the majority of the caffeine. Paullinia yoco is a viney plant related to guarana. It has been of immense importance to the Secoya people living in the Ecuadorian and Peruvian Amazon (27). So important in fact, where they choose to live will be based on proximity to this plant with natural caffeine. The men will arise early in the morning and drink yoco with their sons, using the time to teach. Among the other drinks with caffeine, how they use this one be the most analogous to how we depend on our morning coffee – it’s essential! Outside of the Secoya people it’s not really used. You won’t find yoco for sale anywhere. Being that it’s related to guarana, it’s not surprising that it has a high amount of stimulants (28). 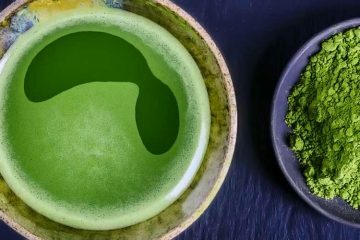 What is matcha? That’s just green tea which has been grown in the shade, using the youngest leaves. Whether you drink that or regular green, white, or black tea, they all come from the same plant; Camellia sinensis. What makes them different is how they are grown, harvested, and processed. Contrary to popular belief, the best coffee substitute when it comes to tea is black, not green. According to the USDA, the former has 29 mg per cup, while the latter has 47 mg (34) (35). This is actually the 2nd highest plant that produce caffeine. The reason so little is in the final beverage is because just 2 grams of the leaf are used per bag. Compare that to how much coffee bean you’re putting into your machine each morning. Another myth is that green has substantially more antioxidants. Here are their ORAC values. It’s only about 10% higher than black. Among all the ways to brew this leaf, which form and method offers the most stimulation and antioxidants? 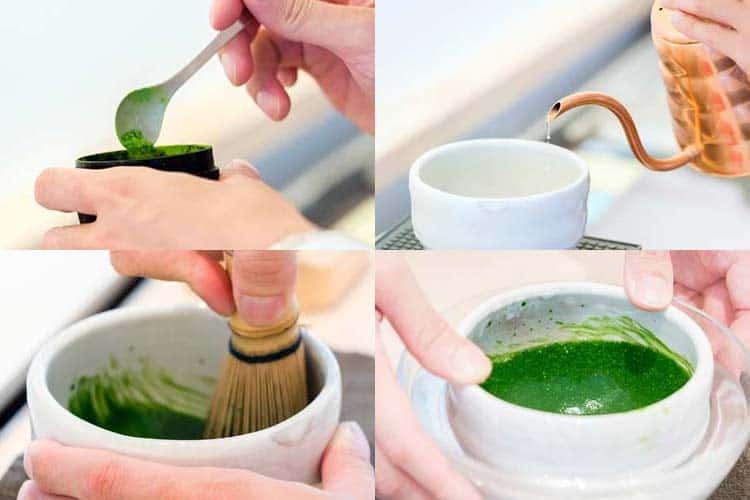 Learn how to make matcha tea! Our instructions make it easy and you will have a beverage 80% stronger than coffee. Per 8 ounce cup, you will get 172 instead of 95 mg.
You won’t find this one for sale. Very little is known about this species. Ilex tarapotina is the fourth type of holly which contains caffeine and it’s native to northern Peru. It has been used by locals to make tea, which they call té o’ maté. It hasn’t been studied in humans and there’s no other research about it on PubMed. 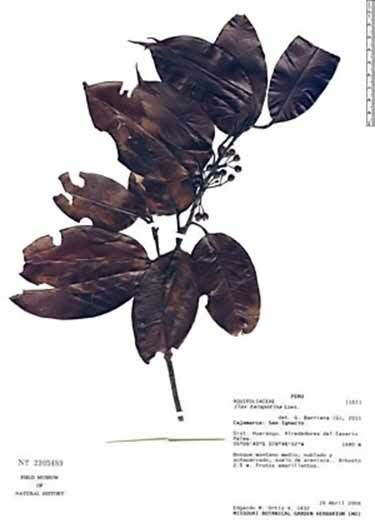 The Field Museum in Chicago has a specimen of it in their botany archives, which is pictured here (16). As far as literature in English on this mysterious plant, in passing it’s mentioned in Black Drink: A Native American Tea. As far as how much of an energy jolt I. tarapotina will give you, that is yet to be determined. The only thing confirmed is that it does contain that coveted stimulant (17). There you have it, nine all-natural alternatives to the standard morning cup of Joe. Obviously not all of them are viable substitutes for coffee, unless you live in a rainforest. 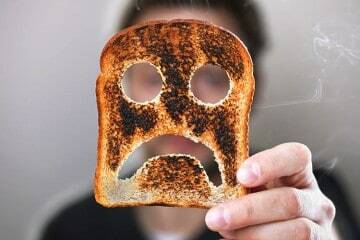 Acrylamide is a suspected carcinogen which is created when coffee beans are roasted. So if you stick with that as your pick-me-up, at least choose the lowest acrylamide coffee. If you want some serious energy boosting from a different plant, the best choice will be guarana. No other food sources of caffeine is a higher percentage and the taste of guarana is at least more palatable relative to kola nut. It’s also not a hassle to find and make, like yaupon holly tea or yerba mate. Try mixing a teaspoon of guarana in a cup of hot water. While you get used to the flavor, you may want to mix it in juice, a smoothie, or add milk and a sweetener like you would when drinking coffee. Getting the powder in bulk is a good value. These statements have not been evaluated by the Food and Drug Administration. This product is not intended to diagnose, treat, cure, or prevent any disease.